This 1½ storey house provides four bedrooms over two floors. The southern elevation shows a single storey face to the exterior while at the entrance elevation, the height of the building is increased to 1½ storeys providing substantial accommodation within a modest exterior size. Ample use of roof lights provides generous amounts of daylight with the open ceilings making the spaces feel much bigger than the exterior would suggest. 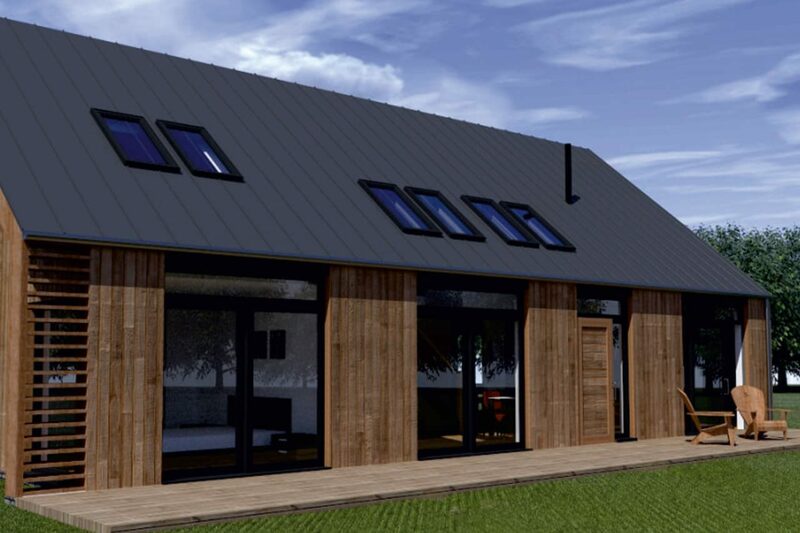 The house can be clad in various forms to suit both suburban and countryside settings and would be particularly at home as a timber clad house in a woodland setting. The extended roof sections could be used for log storage against a stone finish, complementing the countryside look.